Thirteen Reasons Why is back for a second season with 13 new episodes. Just in case you still don't know, the story explores the mysterious suicide of Hannah Baker and the motivations that led her to this tragic end. A shoe box full of cassette tapes may have the explanation. The series, which became a Netflix hit last year, is an adaptation from the best-seller novel from Jay Asher, first published in 2007. Returning to the cast is Dylan Minnette (Scandal, Don't Breathe), and -surprise- Katherine Langford on her first important role of her career. 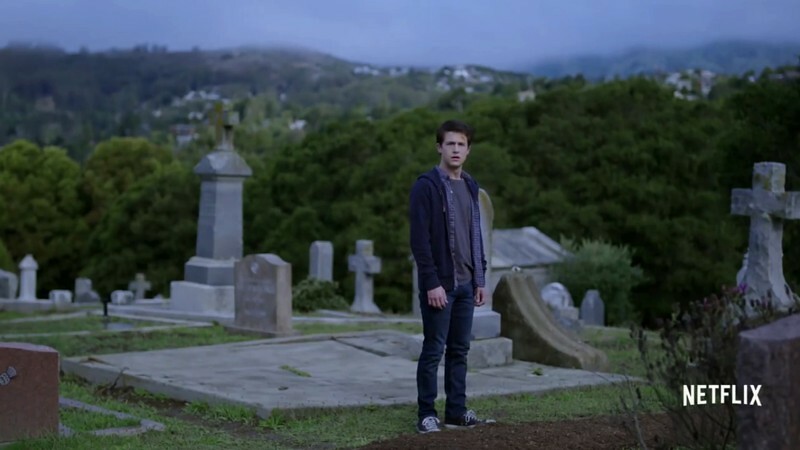 13 Reasons Why was shot in various locations in Northern California, in the North Bay area. The filming of the original 13 episodes took six months and was mainly based in the towns of San Rafael, Vallejo and Sebastopol. We will be updating and improving this report about the shooting locations of season 2 as soon as we find out more details. No spoilers ahead! 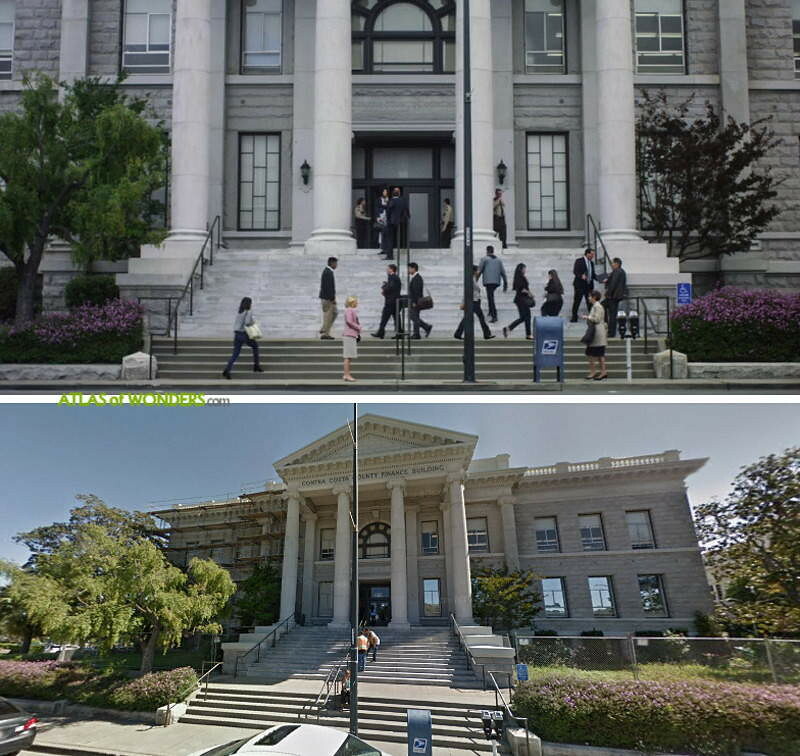 The court from season 2 is the Contra Costa County Finance Building in Martinez. 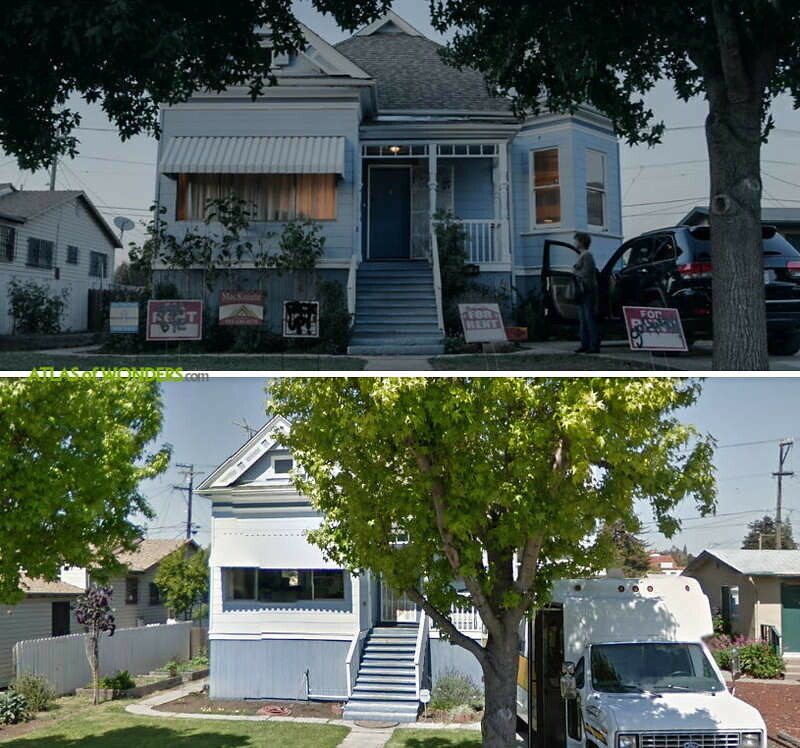 Hannah's mother new house from season 2 is located at 1320 Ohio St in Vallejo. 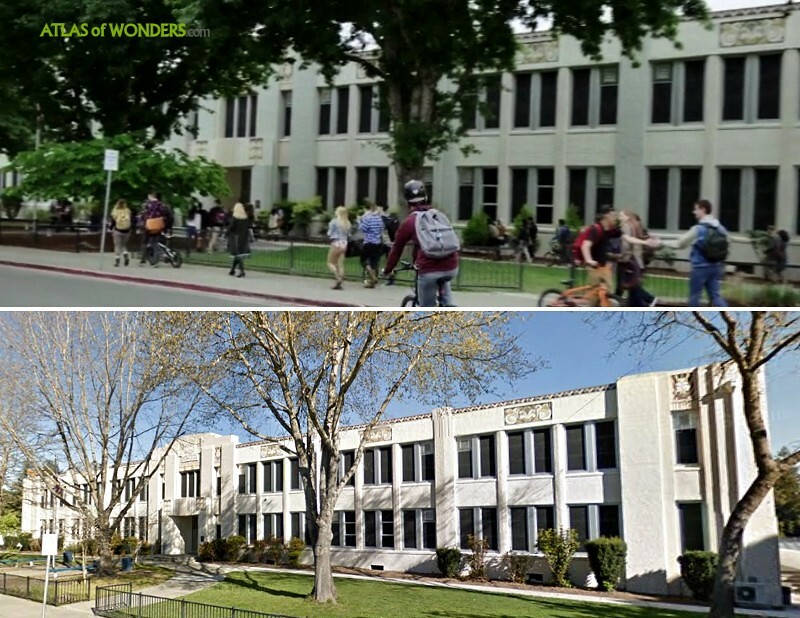 The stadium and track areas, that are heavily featured during season two, are also from Analy High School. The school's football team is also called Tigers and has the same logo of a blue paw as the one used for the series. Monet's Café is located in the old City Lights building at 415 Virginia St (Vallejo). 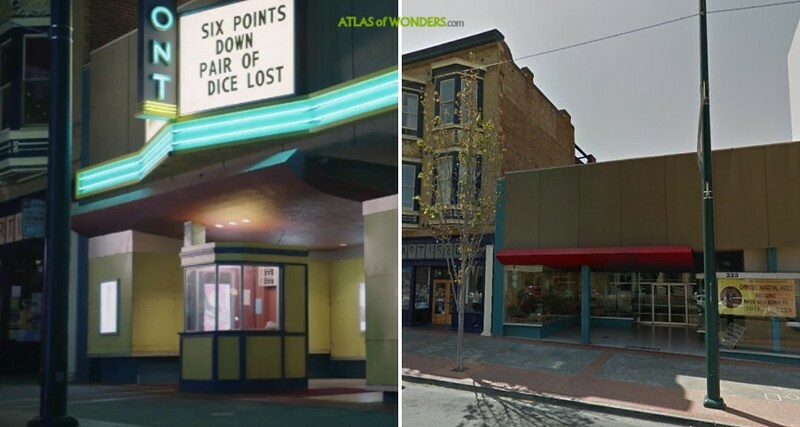 The movie theater was set at 333 Georgia St, also at downtown Vallejo. Clay's house is at 231 Bayview St in San Rafael. 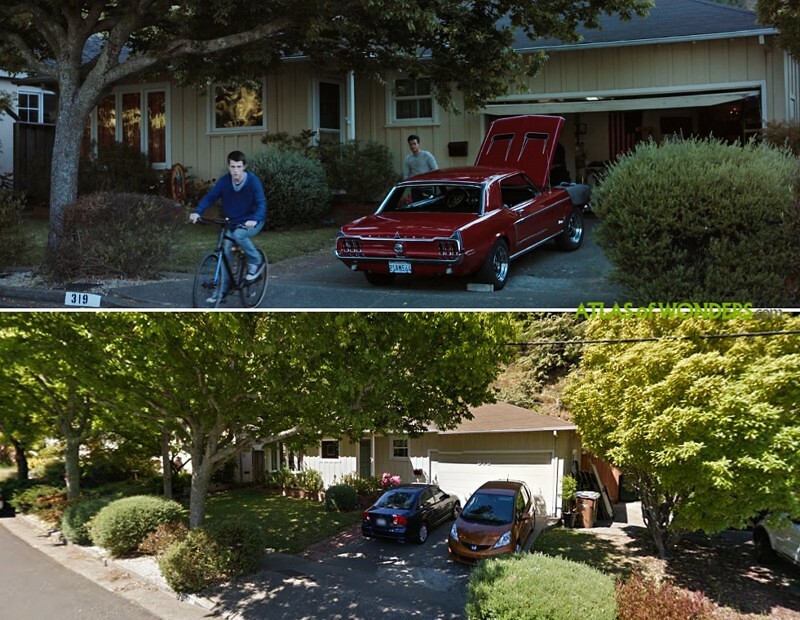 The car of Google Maps was also there during the filming of 13 Reasons Why. Tony's 1968 Ford Mustang is parked nearby, along with several vehicles from the production. 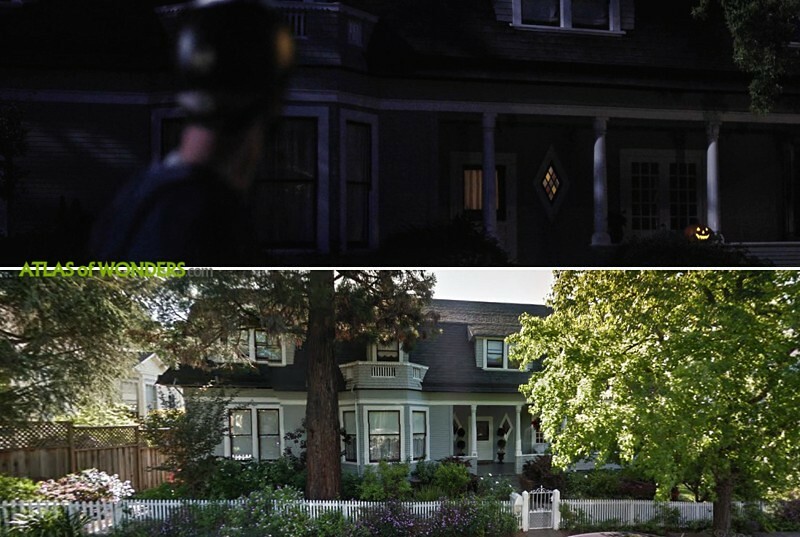 Tony's House is at 319 Irwin Street in San Rafael. The shop the Blue Spot from season one is the Colonial Liquor at 1015 Tamalpais Ave, also in San Rafael. 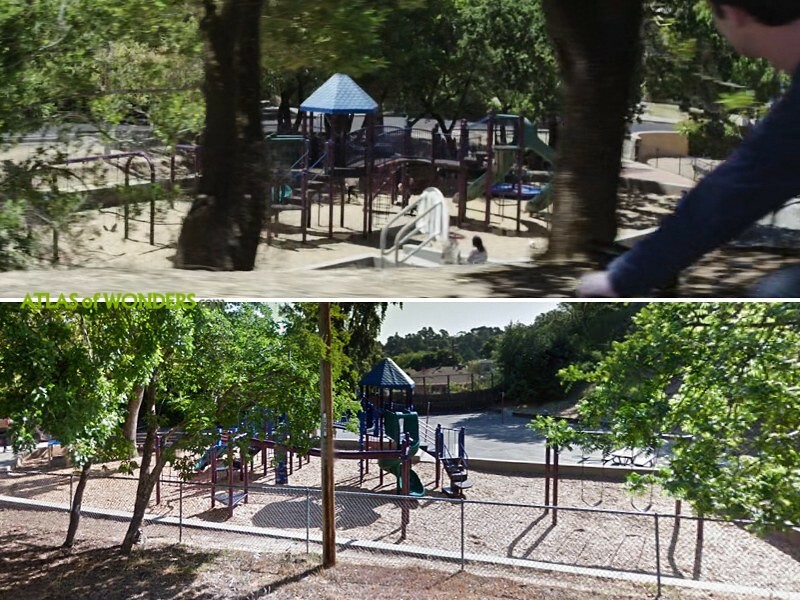 The playground is the Bret Harte Park (San Rafael). 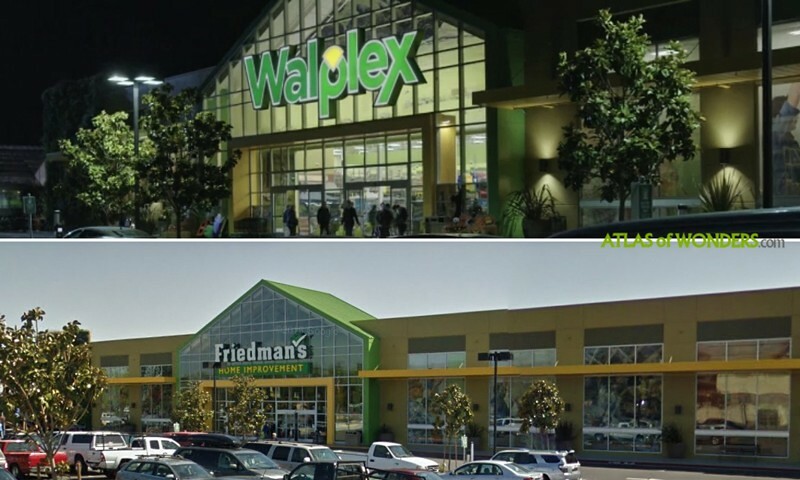 The Walplex store was filmed in the Friedman's of Petaluma. A few scenes were filmed overlooking Carquinez and Alfred Zampa Memorial Bridge in the hill above Eckley Pier, in Crockett. In season 2, Bryce and Hannah meet in a different viewpoint of the bridges. The funeral church is St. Stephen's Episcopal Church in Tiburon. 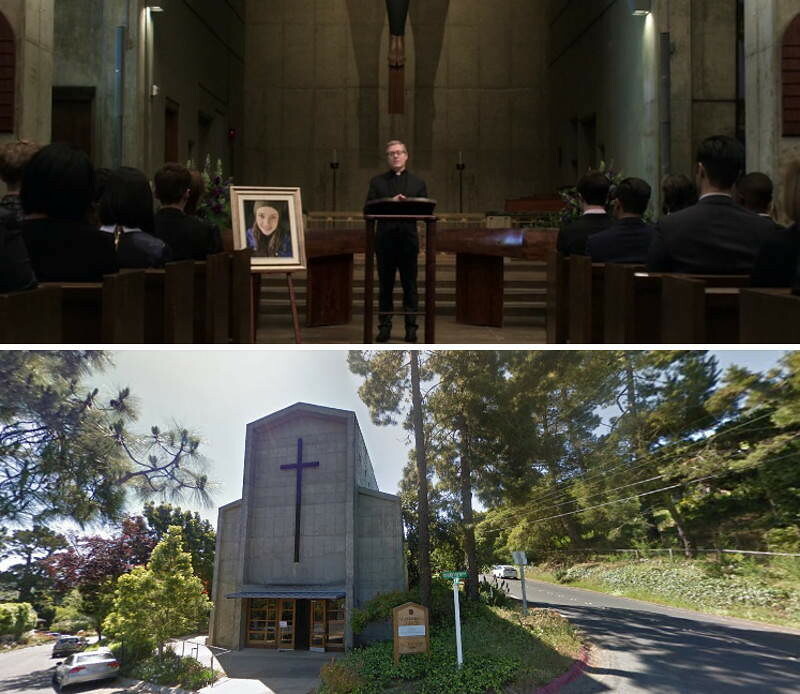 Can you help to improve this post about the filming locations of 13 Reasons Why? To complete and correct this report, any feedback, info or images that you may have are more than welcome, thank you! 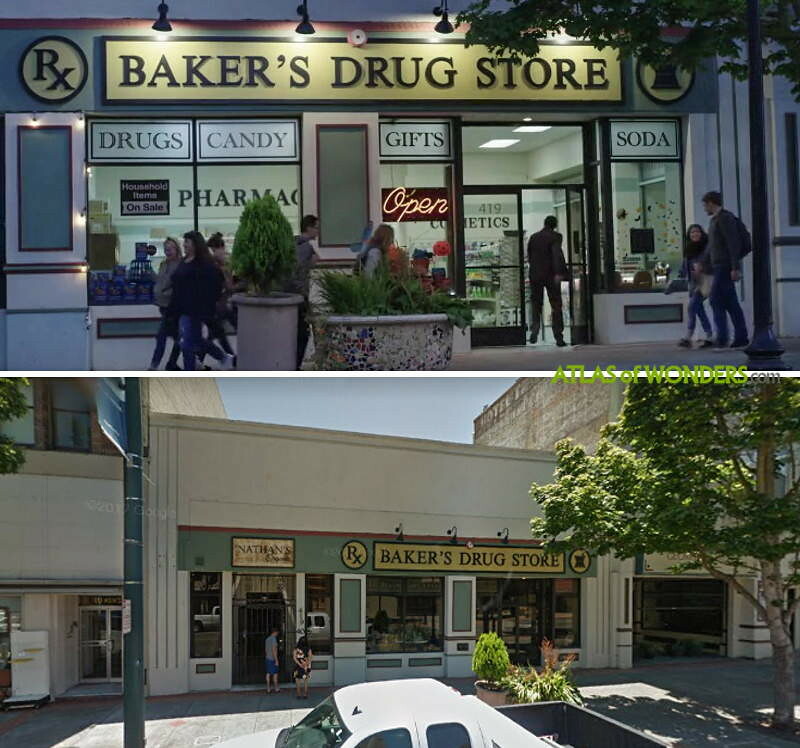 Bakers Drug Store is 436 Georgia st in downtown vallejo. Great, thanks a lot for your help! 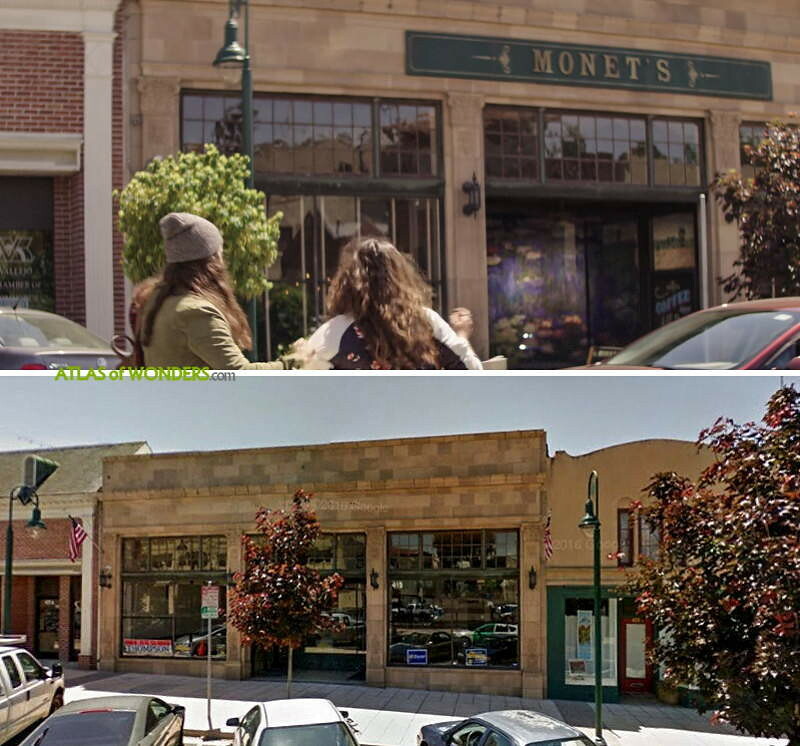 The street in the first episode, when he is in the car with his friend is 4th street with E street in San Rafael. 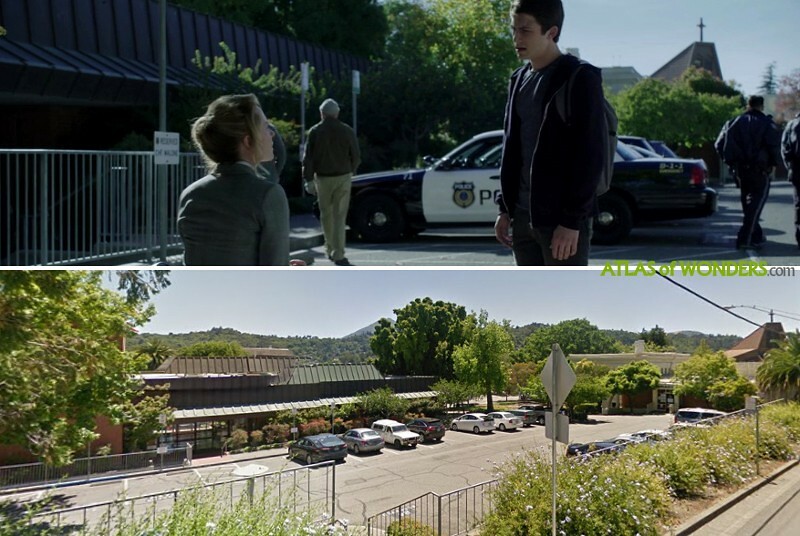 The park in the first episode is Bret Harte Park in San Rafael!!! Thanks a lot Isaiah, updated! The aerial view of their town in episode 1 is the town of Crockett. I saw that.. it's a quick insert shot in between scenes in the second episode. 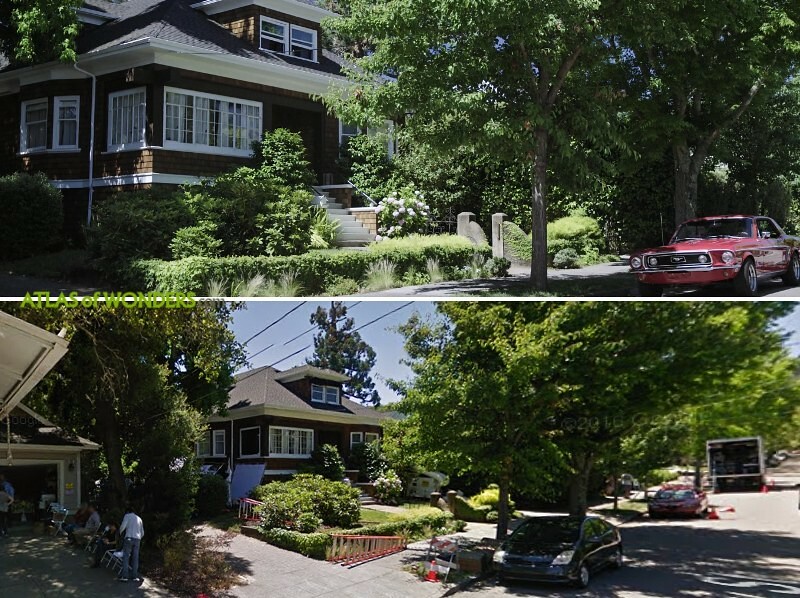 Is the Google Earth Street View at Clay's House showing 'Clay' outside on the front lawn with his fingers up? You can see all the filming trucks/equipment in the street along with Tony's Mustang. Yeah, it's all there... and yes, he may be the actor Dylan Minnette! Do you know the location of clay finishing tape 11 ? Do you know the location of the car accident where Jeff died? Where was the cliff scene where Tony and clay drive to? Episode 11? Where did they film the overlooking night scene on episode 11? I'm pretty sure those are on Grizzly Peak, the road that spans the ride of Oakland/Berkeley. not sure that's right since it was filmed in the north bay, but where?! Could be Mill Valley. If you drive up the mountain, through the houses, possibly through Glen Dr, you hit the top and there's a trail overlooking all the city lights and mountains. Is the Hannah Bakers house a real house? If so where is it ? The scene in episode 3 where Clay follows Tony to see him beating up the guy was at Mere Island shipyard near the VA clinic. 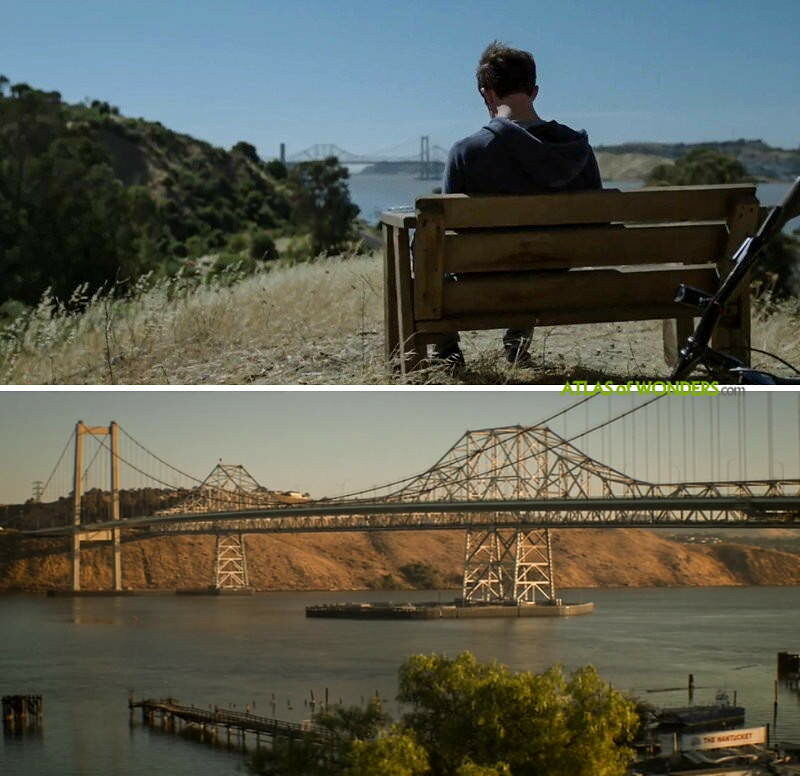 Does anyone know the exact spot of where Clay is sitting when he is overlooking the bridge? The final scene of the season with Clay riding in Tony's car is shot on Point San Pedro Road. I live nearby, and they did a lot of filming in the area, especially near Peacock Gap park. Do you know what parts they filmed in Peacock Gap Park? 2 Diane Lane, on Diane Lane between Heather Way and William Ave, and on William Ave between Garden St. and Diane Lane. I have a pic of the house I can post. Thanks Chris! But is it any relevant filming location there? There is - I have pictures of 2 Diane Lane... I just need to figure out what it is. I am gonna watch the show again. I know they filmed there 3 or 4 times. What is your email? I have some pictures and locations to send you. Monet's is 415 Virginia Street, not 410. Thanks again Chris, we added most of them to the post! No prob, I have some good pics I will send when I am done. Does anyone know where the aerial of the very last scene of the series was located? The scene where tony and clay drive off. 955 Point San Pedro Road in San Rafael is the fire department you see on the left of yhe screen as the shot pulls up for aerial shot. Clay starts biking on the 100 block of C Street in San Rafael in episode 1. This is also part of the trailer. Jeff's tragic accident is at the corner of Woodland Ave and Auburn in San Rafael, under the 101 freeway. In reality there is no stop sign on the corner. There's a scene at dusk/night on a hilltop overlooking the city. It's looking on downtown San Rafael and the canal off to the left. The freeway curves off to the left, the new big buildings downtown on the old pg&e site. They are sitting up on or above Robert Dollar Drive on the San Rafael Hill. I think other overlooking scenes were filmed up there or on the fire road. Does anyone know where the ruins from Episode 12 are. The scene were all the boys ask “Monty” for the polaroids and Alex pulls outback a gun. I’m still searching but I’m sure that this location has to do with the SF Bay ferry because you can clearly see one sailing in the background. So it could be near Mare Island because there’s a ferry route there and the river is quite narrow, probably the Napa river. The near by power cable towers also look like the ones in Mare Island area. I’m suspecting that Zach and Hannah’s kissing location is actually Vallejo Municipal Marina because you can see the yachts, the tall wooden poles of the piers, and most importantly the lower segment of the Mare Island causeway in the background. Any one can confirm? Season 2 episode 7, hannahs mom and dad go to dinner. It's the dead fish restaurant in Crockett. Seaso 2 episode 11. Bryce and Hannah’s location is in Crockett, near the restaurant called The Nantucket (you can see The Nantucket in the background in the shot). Found a few more locations. Zach and Hannah's ice cream place is actually Double Rainbow Cafe, 860 4th St, San Rafael. Skye's rehabilitation center is actually Dan Foley Cultural Center in Vallejo. The pond where Clay and Skye took a walk is Lake Chabot in Vallejo. Zach and Hannah's pier is at Vallejo Municipal Marina, Harbor way, near Vallejo Boat Works. The nearby restaurant The Sardine Can, is where Jessica hung out with Nina and briefly kissed Damon. You can see the Vallejo Boat Works in the background. Cool, thanks a lot for your help Andy. Update coming soon! You're welcome. I've just gone to verify some locations today and took some pictures. Please let me know how I can share them with everyone.